After many years of traveling Kenya, I thought I had seen it all, and all of it getting busier by the day, but deep in the south of Kenya just north of the Tanzanian mountains there is a little known place of incredibly unspoiled beauty away from the crowds. 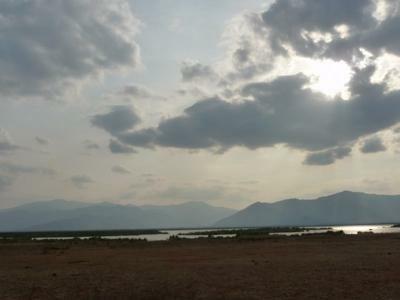 At the southern edge of Tsavo West National Park lies Lake Jipe. A wonderfully quiet place not frequented by many visitors on safari, which is an incredible shame. The more discerning traveler would deeply appreciate the tranquility and beauty Lake Jipe has to offer. It was September when I came across this area whilst a friend and I were on a self-drive safari from Voi to the Masai Mara over a 3 week period. Being advised that the roads were good we ventured into previously uncharted territory, for us. In a maximum of 3.5 hours from Voi, we were rewarded with vistas unspoiled by tour vans and 4x4’s of the Lake, mountains of Tanzania and acacia thorn trees hiding a wealth of wildlife, including elephant, lion, buffalo, giraffe, warthog, impala and masses of hartebeest to mention a few , all behaving naturally; as they are not so habituated to vehicles. 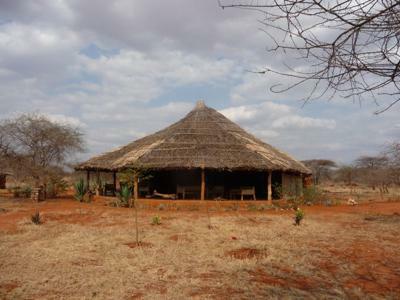 Lake Jipe Safari Camp, owned by Myriam Debrunner is situated just outside the park gates of Tsavo West National Park. Only around a kilometre from the lake this piece of heaven has views of Tanzania’s mountains including Mt Kilimanjaro, with glorious sunsets. Elephants come through camp almost every morning and a local fishing boat trip out onto the lake is a must to take advantage of the peace and quiet and the aquatic birdlife. You may see the elephants as they come to bathe and drink daily in the lake. The camps eight individual, thatched Banda’s are very comfortable including bathrooms, with all you would expect of a top range lodge and tastefully decorated to compliment the surroundings. The central open-fronted lounge area allows one to relax and inwardly digest every minute detail of the bush from sights and sounds to smells. Prolific birdlife coming to feed at the bird table and water give photographers an ideal opportunity to capture such colourful creatures such as the Scarlet-chested Sunbird, Western Violet-backed Sunbird, Yellow bishop, Abyssinian White-eye and Red and Yellow Barbet to name a few that I saw. The staff are very warm, welcoming and friendly, helping to make your stay enjoyable to the extreme. Lake Jipe Safari Camp is indeed a jewel in the safari crown of Kenya. Many thanks go to Myriam and her staff for their kindness. I can not agree more it is a beautiful and unspoiled part of Kenya. The local people are warm and joyful, thank God places like these still exist. excellent place to be, the quite environment and the sunset is just brilliant! this place is just wonderful, its worth giving it a try, going soon! I agree with Jayne 100%!!! This is the most tranquil place one can think off and if you love birds, than this will be without a doubt paradise for you! !